Please pray for the PW youth who will be traveling to Steubenville on the Lake Conference July 20th - 22nd. 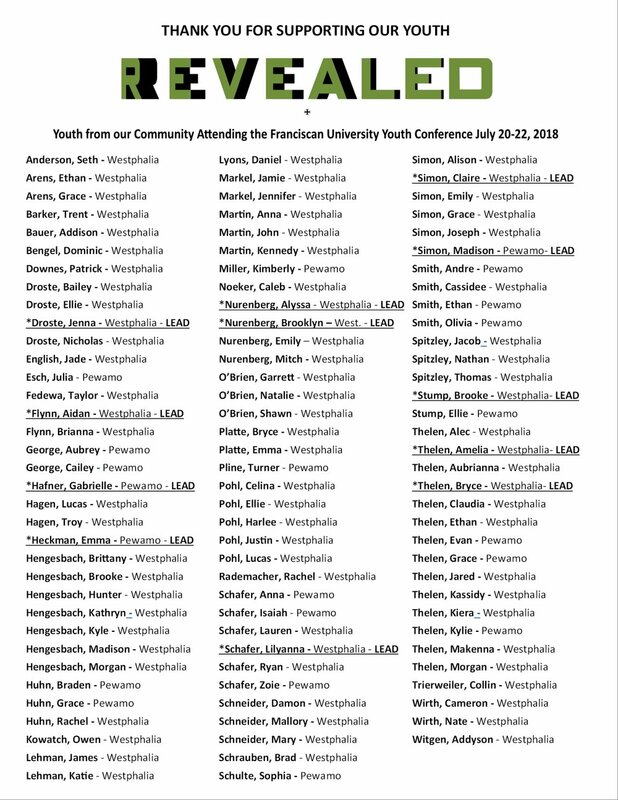 Here is a list of youth attending. Please pray for them and if you are able, financially support them on this weekend journey.